A connected family law system which provides pathways and support for all families before, during and after separation. 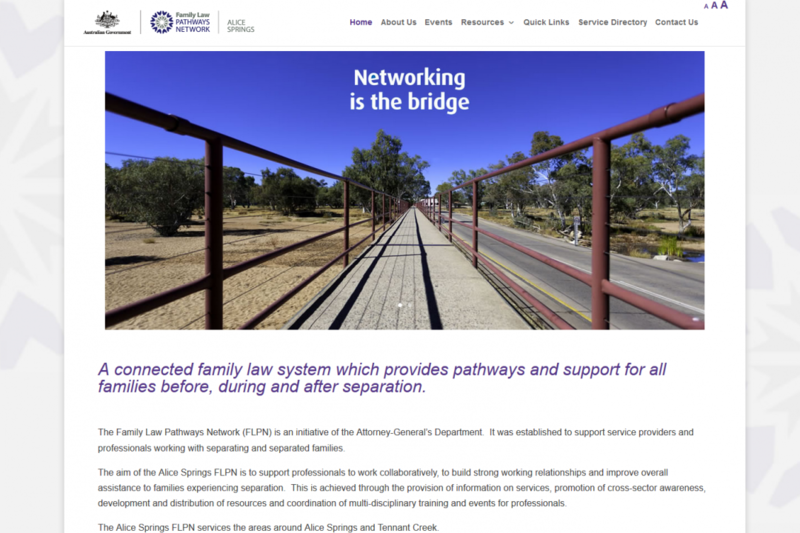 The Family Law Pathways Network (FLPN) is an initiative of the Attorney-General’s Department. It was established to support service providers and professionals working with separating and separated families. Create a service directory which is easy to maintain, searchable and automatically sends out annual reminders to listed services to update their details.